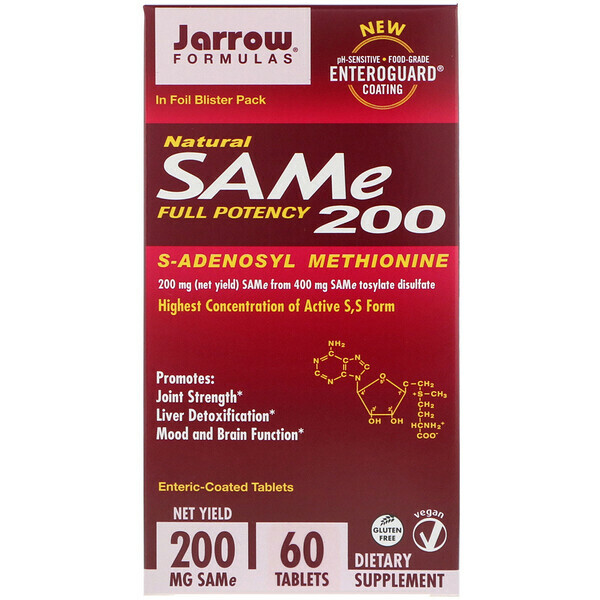 For best result, use with Jarrow Formulas JarroSil, the biologically Activated Silicon. Cellulose, mannitol, glyceryl behenate, magnesium stearate (vegetable source), silicon dioxide, sodium starch glycolate, enteric coating (modified cellulose, magnesium silicate, triethyl citrate and riboflavin). 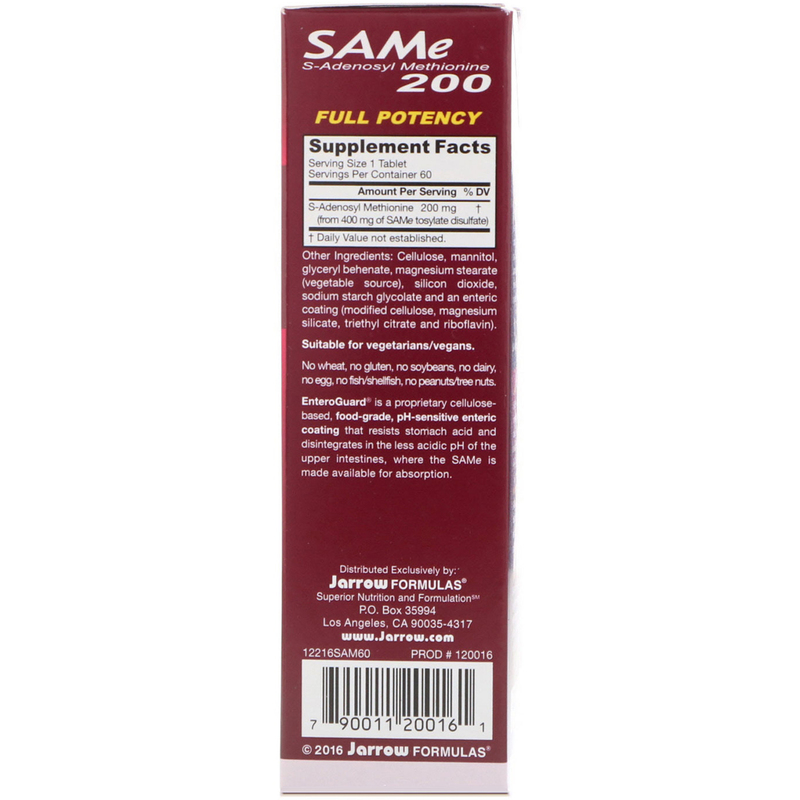 Full Potency 200 mg SAM-e (net yield) is derived from 400 mg of SAM-e tosylate disulfate.